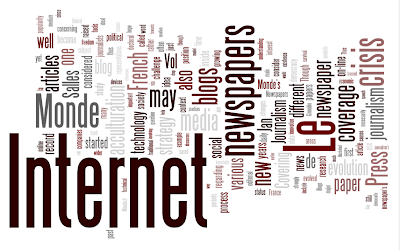 MEDIA COVERAGE OF THE INTERNET:AN ACCULTURATION STRATEGY FOR PRESS OF RECORD? This paper is part of a wider doctoral study focusing on the acculturation of press of record to the Internet. The article presents evidence persuading us that the on-going crisis that the Press is enduring (and has for a while), though raising constant concern on questions of survival and democratic mechanisms, also sees the formation of small areas in which experiences are run, while symbolically and economically strong companies continue to function normally (i.e. according to historical norms). 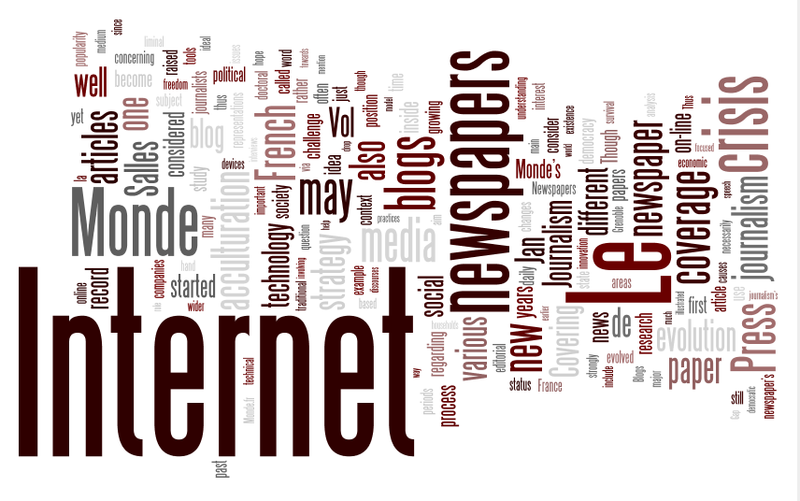 Here we describe localized areas based on coverage newspapers provide regarding their relation to innovation, perhaps a place to mediate two cultures: ‘old,’ traditional newspaper culture and the Internet. These suggestions are based on interviews at Le Monde with different hierarchy practitioners and the analysis of diverse entities in articles covering innovation, especially those mentioning ‘crisis’ and ‘blogs’.